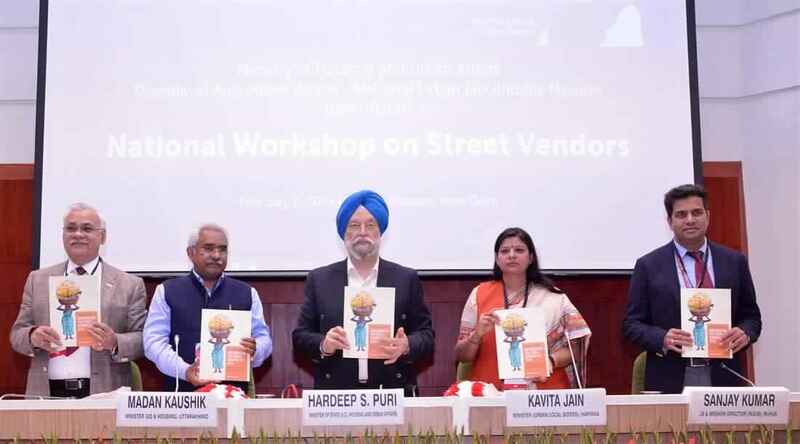 New Delhi: Shri Hardeep S Puri, Minister of State (I/C) for Housing & Urban Affairs has informed that most of the States have formulated and notified their respective rules and schemes under the Street Vendors Act. “The compliance index prepared by the Centre for Civil Society ranks different states on implementation of various parameters of the Act. I hope that the remaining states will take prompt action to notify the rules and schemes to facilitate extension of the provisions of Act to the street vendors”, he added. He was addressing a National Workshop on Street Vendors organised by the Ministry of Housing & Urban Affairs, here today. The Housing & Urban Development Ministers from several states including Smt. Kavita Jain, Haryana & Shri Madan Kaushik, Uttarakhand, Shri Durga Shanker Mishra, Secretary, MoHUA, Shri Sanjay Kumar, Mission Director, NULM and stakeholders from several organisations were present on the occasion.